Palmako Charlotte 21.5m²: The Palmako Charlotte comes in a traditional style building with a classic apex roof, perfect for using as a garden office space. The building comes as an easy-to-build sectional style construction with ready-made wall elements with wind protection plastic. 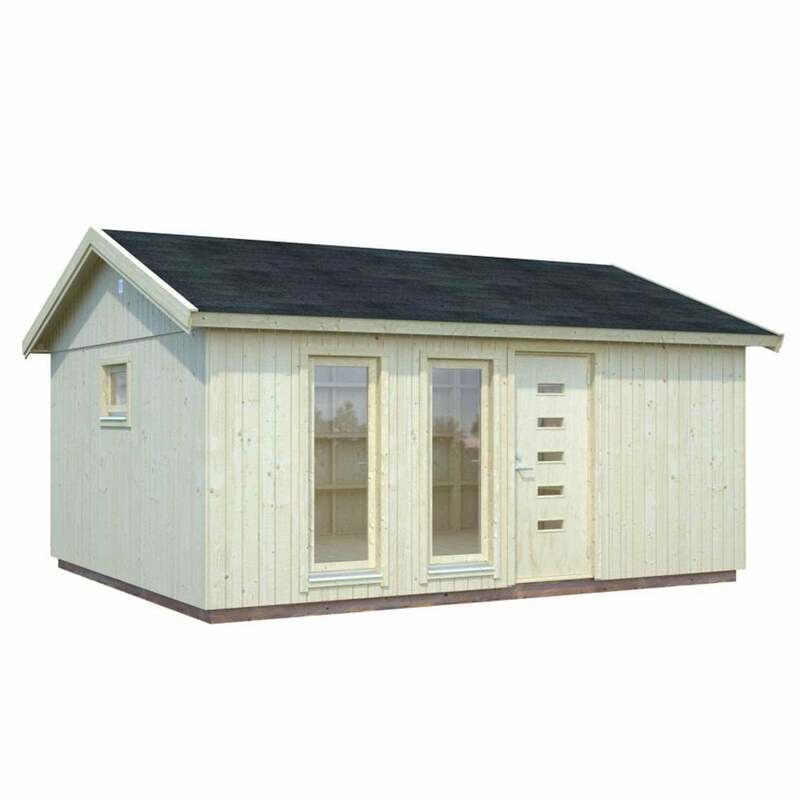 The Charlotte Cabin is constructed with fine sawn cladding from beautifully crafted Nordic Spruce, the floor and roof of the building is made from 19mm tongue and groove boards for a high quality finish and treated foundation beams for added durability. The 21.5m² building includes a single door, two full length opening windows and an opening side window, to provide plenty of light and ventilation into the building. The windows in the Charlotte building are double glazed with a 9mm cavity in between two panes of 3mm glass and the door comes with a cylinder locking mechanism for added security when not in use.